Canadian Thanksgiving is always held on the second Monday in October. Thanksgiving is one of our very favourite Canadian holidays, and we think it could be yours, too. Why is that? It’s not just because we get to eat tables of delicious food, or because we get a day off work. While both reasons are very nice, we love this holiday because it is a time for giving thanks. It’s a time of change: the harvest season is over, a new school year has started, and Canada’s famously cold winters are on their way. As the days grow shorter, we come together with our families. Thanksgiving is a time when Canadian families celebrate and share what they’re thankful for. 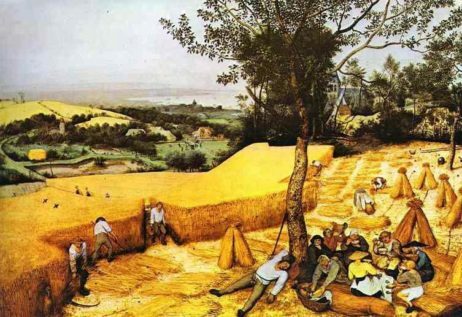 This painting is by Dutch-Flemish artist Pieter Bruegel the Elder, dating from the mid-1500s. Thanksgiving is one of the very oldest Canadian holidays. It was first celebrated in 1578 by the explorer Sir Martin Frobisher and other Europeans in North America. Of course, holidays that give thanks are nothing new. Most of the nations of the world have their own harvest or fall festivals. Examples include the Mid-Autumn festival in China, or Sukkot in the Jewish faith. Since mankind first planted food, marking the end of harvest and preparing for the winter ahead have been done across the world. Very few emotions erase borders and bring people together like thankfulness, which is why Thanksgiving is a universal holiday. 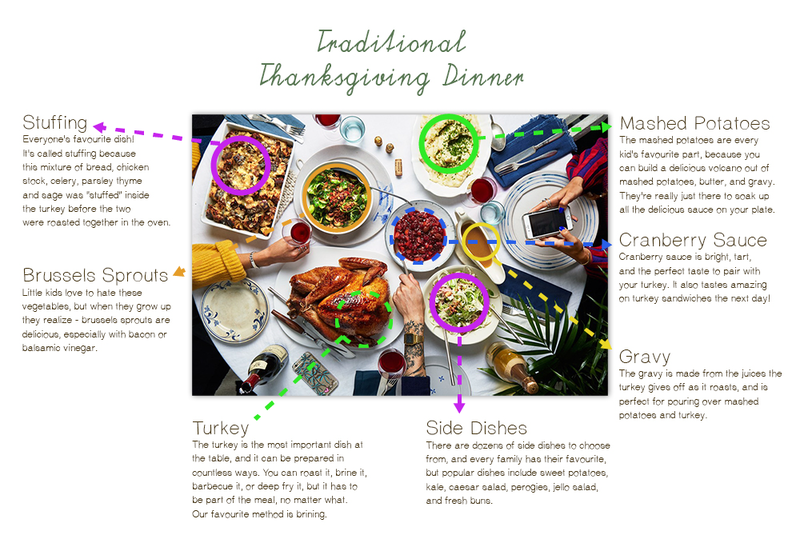 Thanksgiving doesn’t discriminate according to gender or religion – Thanksgiving is for everyone. It doesn’t matter if your family doesn’t celebrate around a turkey, however. The most important part of this holiday is being close to your loved ones and giving thanks for the good fortune in your lives. So, feel free to make your own Thanksgiving traditions: take a hike in the mountains, eat your favourite foods, or get together with friends. Just remember to take a moment to reflect on the good fortune in your life. CIES Guides are a volunteer-led project made possible through contributions from the community. Thanks to Whitney Loewen for help with this guide. If you want to suggest a correction to this guide, or want to submit one of your own, please contact us. The Calgary Immigrant Educational Society is a not-for-profit organization devoted to assisting immigrants and economically challenged individuals. Founded in 1988, we envision an inclusive and pluralistic society that provides innovative language education, customized employment training and placement, and integration services to newcomers and Canadians based on best practices. The Calgary Immigrant Educational Society is located on the traditional territories of the Blackfoot and the people of the Treaty 7 region in Southern Alberta, which includes the Siksika, the Piikuni, the Kainai, the Tsuut’ina and the Stoney Nakoda First Nations, including Chiniki, Bearspaw, and Wesley First Nation. The City of Calgary is also home to the Métis Nation of Alberta, Region III. © Copyright Calgary Immigrant Educational Society 2018.